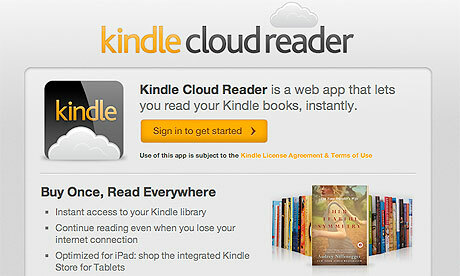 When we first saw the Kindle Cloud Reader, it was clear that it would be something special. Built in response to Apple charging 30% on all titles purchased using their app, the Kindle Cloud Reader allows you to purchase e-books and store them in the cloud for easy syncing with any of your devices with an Internet web browser. With a rather quiet launch, this browser-based reading app is now compatible with local Kindle stores worldwide! Unfortunately, Kindle Cloud Reader still doesn’t offer support for personal documents. Cloud-based reading apps are still in their infancy, and most consider them a back-up method of reading (as opposed to the native apps on every device)… But for those frequently on the move or using a large number of devices, a cloud reader gives them an option for consistency of interface and ease of use. I like to read a lot using Kindle. but wish they had an inbuilt mechanism for managing the highlights I’ve made. For now am using Clippings.io which is great but wish I didn’t have to go to a third party site.